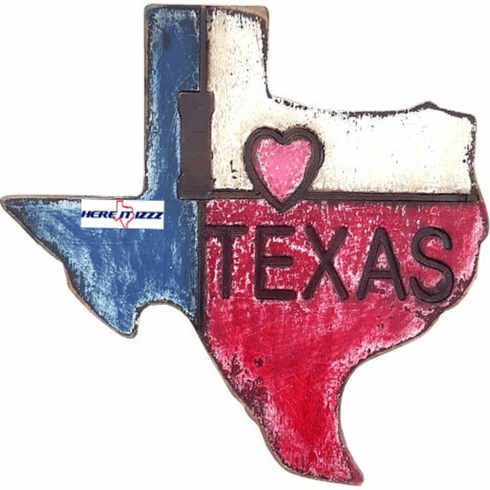 Constructed from a single piece of wood cut into the shape of the Texas state map. Painted to look weathered old and like the state flag. Perfect sign to display around the house.